With a battery backup, peace of mind is a standard. Our reliable Battery Backups will keep your pumps running during power failure, ensuring your property is kept dry; a flooded basement can result in costly repairs. Our Battery Backups are leading the industry in performance, hours of additional protection are offered to your property from water damage in the event of power failure. The PowerMaxx has been specifically designed for sump pump applications. During power failure the PowerMaxx will automatically run the sump pump system, ensuring your structure is kept dry and the pumps running. The PowerMaxx is capable of running both primary and secondary pumps. The PowerMaxx is able to run 1 x V3 ground water pump without mains power for up to 4 days (depending on number of cycles/hr). The PowerMaxx is able to sit in standby mode for 10 days. The PowerMaxx is virtually inaudible. The PowerMaxx will automatically recharge when mains power returns. The PowerMaxx is free standing and can be installed in any dry ventilated area. The PowerMaxx unit is fitted in a series between the spur and the pump; no additional electrical spurs are required. 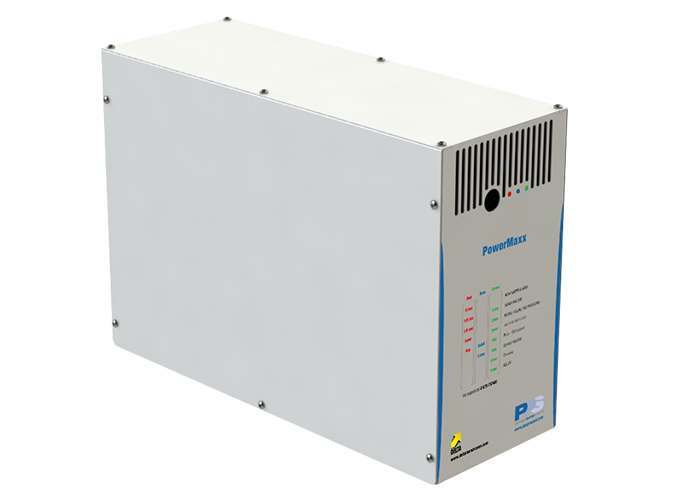 The PowerMaxx can operate as a stand-alone unit or can be used in conjunction with AlertMaxx2. It can also be used as a direct replacement for previous versions.